Mike Condra is an Adjunct Assistant Professor in the Departments of Psychology and Psychiatry and recently retired as director of the department of Health, Counselling and Disability Services at Queen’s University. A respected fixture at Queen’s University for over two decades, Mike has taught in the undergraduate and graduate programmes in the Department of Psychology at Queen’s and in the faculties of Education and Law. 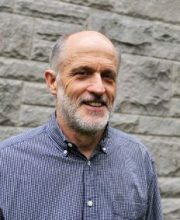 He has provided advice to the university’s senior administration on issues involving mental health and lethality and has extensive experience in providing public education and training workshops on the topics of mental health, stigma-reduction, crisis-intervention and suicide-risk assessment. He is also the Principal Investigator for two projects on mental health in the postsecondary education system funded under the provincial Mental Health Innovation Fund.